Poverty pushed me and the director of the camp complain about the poor living conditions of the displaced. A few days ago, a father sold his son for 300 Turkish liras (about 50,000 Syrian pounds) in Al Faraj camp at the Al Karama camps in rural Idlib. 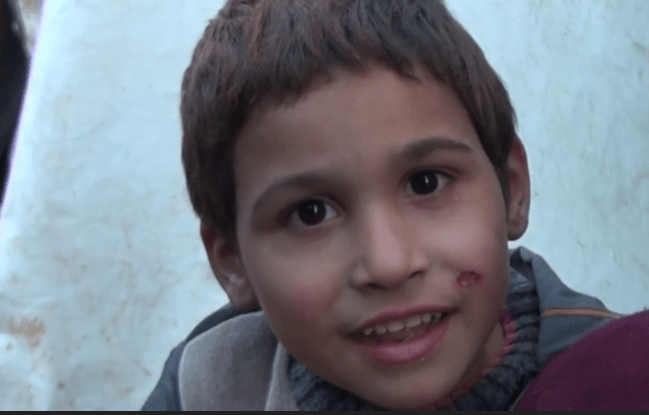 Ahmed Hassan al-Ghannam, a displaced person from Aleppo (Al-Sukkar neighborhood), sold his 5-year-old son Mahmoud al-Ghannam .The buyer has agreed to buy the child. After the purchase was made, the man took the child home. He then informed the police of the incident. The free police at Al Karama police station were quick to arrest the father of the child, who confessed after interrogation to the court. The child was placed at his married sister and resident in the Karama refugee camp until his decision was issued against him. His mother is married to a Turkish man and currently lives in Turkey. The relief organizations are following an “immoral” policy in the camp, where poverty is spreading among the displaced, where only one food basket per family is distributed per month . 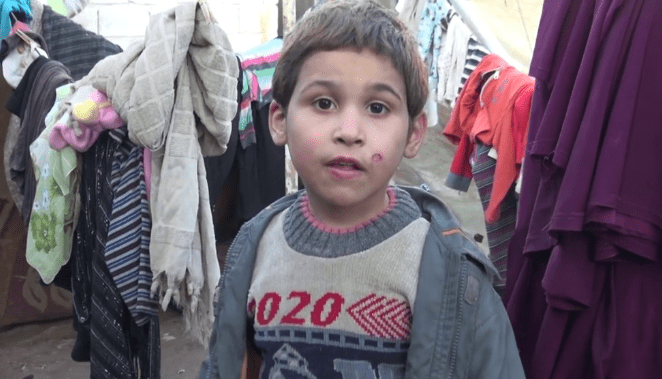 For his part, the director of al-Faraj refugee camp, Mahmoud Fayez al-Bakur, said that Ahmed Hassan al-Ghannam, the father of the child, is living in a state of extreme poverty after arriving at the camp where he lives in his married daughter’s tent. Under low humanitarian conditions, they can not find what they eat, pointing to the lack of carpet or mat in his tent. Al-Faraj camp has 175 families, with only 9 percent of them working. Unemployment is the general situation, which makes it more disastrous for all displaced people in the camp. The relief organizations is a great failure, as a large number of displaced people has to sell the basket to buy bread. In a related context, medical director of the Union of Organizations of Relief and Medical Care “Osom” psychiatrist Wael Al-Ras, talked about the long-term psychological impact, which is difficult to predict. It may be caused by the kind of life the child has to deal with and the range of the effects can be huge: depression or disorders of children behavior, hyperactivity and lack of attention, developmental disorders or personality at the age of adolescence, misconduct. The psychiatrist attributed the father’s behavior to his personality and his familiarity with the years of war that the Syrians lived in, where they felt helpless. Al-Ras warned against the spread of such a phenomenon, describing it as dangerous. He called for concerted efforts by decision-makers to raise public awareness and create small jobs that would allow the Syrians not to sacrifice their children and follow-up to the poor living conditions in Al-Faraj camp, which may have prompted the father to sell his son, according to the director of the camp. The “Sayed Issa” Director of Programs in the Organization of Violet (one of the largest organizations operating in the province of Idlib) said that there is a division of the work of relief organizations in liberated areas, He pledged that Violet would secure homes for all families with special cases in Al Faraj camp (by renting), including the family of the child Mahmoud al-Ghannam .